In light of the challenges facing today's corporate executives and Human Resources professionals, GreenToTee Golf Academy has combined its unique coaching philosophy with strategies for team-building, organizational feedback, and team-based learning. 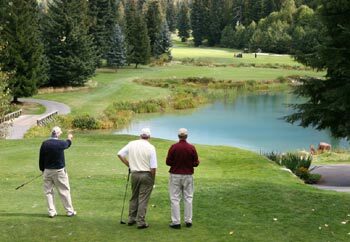 Offered in a half-day, full -day, or two-day format, Golf-To-Business is tailored for your organization's specific needs and objectives. Click here to download an overview of our Golf-To-Business Team-Building Workshops. Golf is like business. How you practice and play golf is analogous to how you learn and perform in business. A Golf-To-Business (GTB) workshop is a fun learning experience. It's a unique way for members of your group to learn more about themselves, your team, and how to be more successful. GTB is designed so that everyone can enjoy it, learn, and help each other; from the scratch golfer to someone who has never swung a golf club. No one offers anything like it. 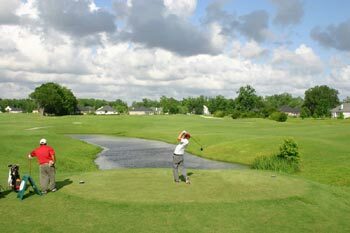 GreenToTee's Golf-To-Business staff combines successful golf coaches with experts in leadership and teamwork. By observing how you develop your skills and play the game of golf, we can help you assess and evolve your effectiveness in a work environment. We give immediate feedback on your learning and personality styles and how those can be most effectively leveraged in a teamwork-oriented, business environment. Click here to download an overview of the Golf-To-Business Approach. GreenToTee Golf-To-Business is lead by Joe Bosco and Ed Gubman (http://www.strattalent.com). Ed's 25 year consulting career has focused on showing leaders how to leverage their most vital competitive asset – their people – to increase business results. His best-selling book, The Talent Solution, demonstrates how to grow and be profitable on the foundation of a talented and aligned work force. Ed's new book, The Engaging Leader, shows leaders how to win with today's free-agent mindset employees. Ed and Joe have architected an approach with Golf-To-Business consulting that combines their complementary talents for extraordinary results. Golf-To-Business has been successfully delivered for such clients as Blue Cross Blue Shield of Illinois, Starbucks, and Hewitt Associates. Click here to view the Golf-To-Business Performance Training Flash presentation.